These GAS CHARGED shocks look like those made by Progressive Suspension. 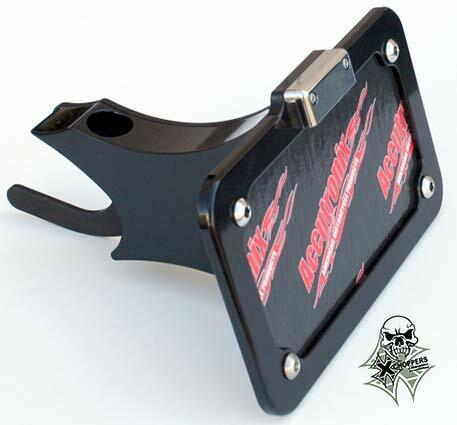 Available with black bodies and chrome springs and collars or all black powder coated. Click on photo at right to see enlarged view. 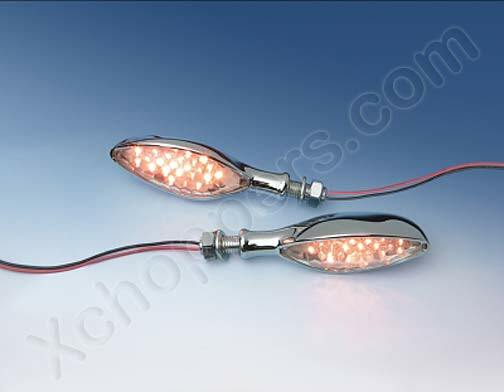 Manufactured in Argentina and modified by MB Products in the U.S. to the length you specify. Choose the length you want - 10.5", 10.75", 11.0", 11.25, or 11.5" to suit your handling requirements or for a lowered, custom look. 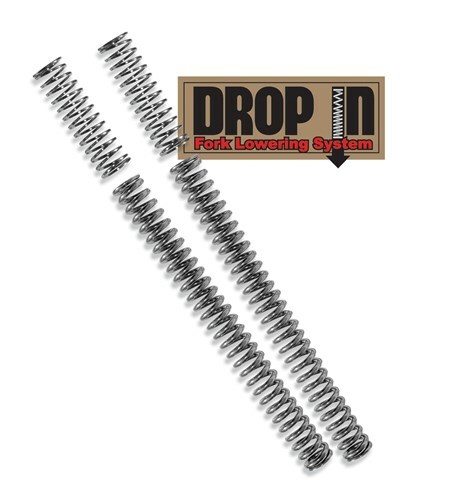 Spring pre-load can be adjusted as desired with 5-position cam. Gas Charged for superior performance. 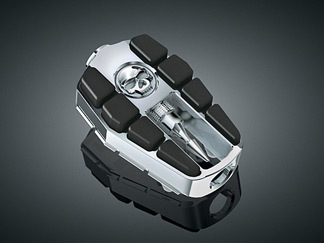 Shocks come with short upper and lower chrome covers and chrome springs (as shown in photos) or. choose black powder coated. 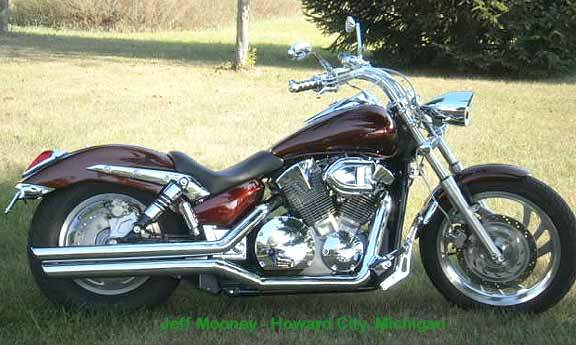 2006+ Honda VTX1800 C and F models require replacing top shock mounting studs to install MB Products shocks. 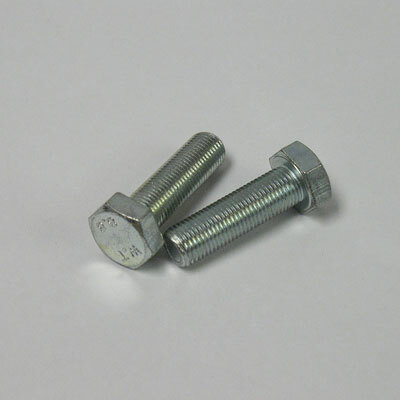 Order two # 52452-MCH-000 ("Rear Cushion Bolts") from your Honda Dealer. 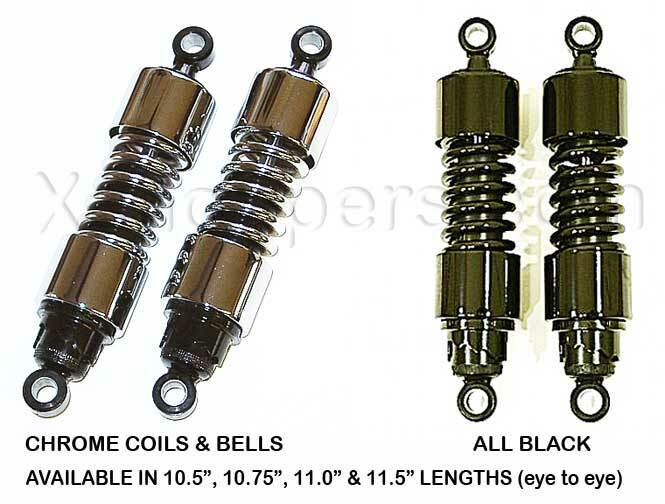 TO MOUNT MB SHOCKS JUST REMOVE TOP STEEL REDUCER SLEEVES AS SHOWN IN THE PICTURE BELOW. 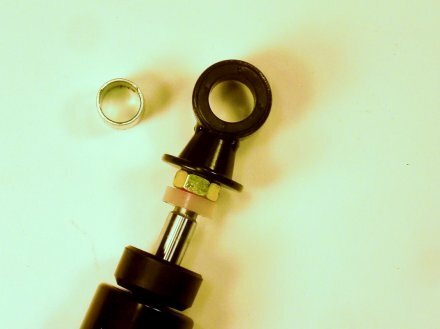 ONCE THE STEEL SLEEVE IS REMOVED THE SHOCK EYE WILL FIT ON THE 3/4" STUD. 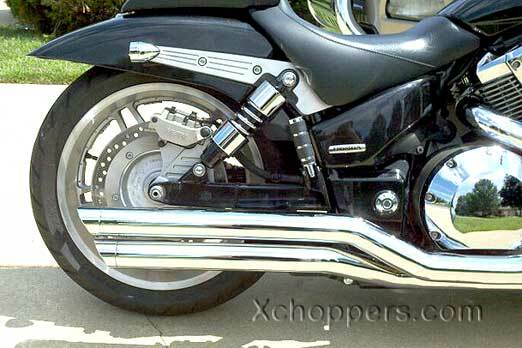 Rid your VTX 1300 C or 1800 C/F of the "motocrosser look" by lowering your fender over the tire where Honda should have put it in the first place. 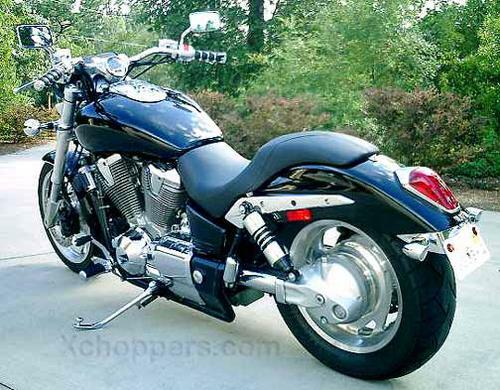 Honda VTX 1300 C Shown Above with MB Products 10.5" shocks. 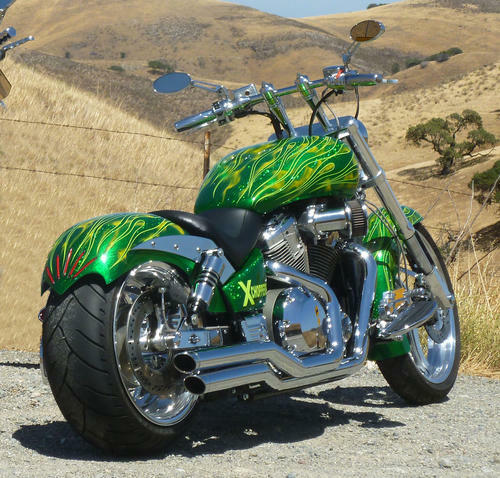 Travis Denniston - VTX 1300 C with 10.5" shocks & Xchoppers X Sickles 200 - 4 Victory rear fender. Bart Jones's VTX 1800 with 10.5" shocks and Xchoppers custom fender..
Notice how lowering the bike makes a 200 rear tire look huge! 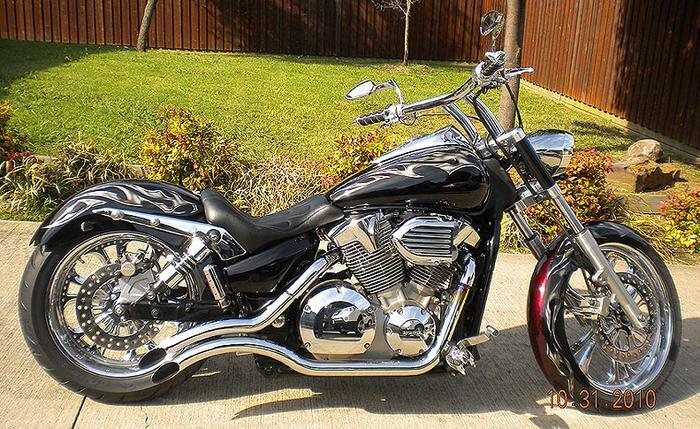 Gordon Cottrill's 2003 VTX 1800 C with 10.5" shocks and stock fender. 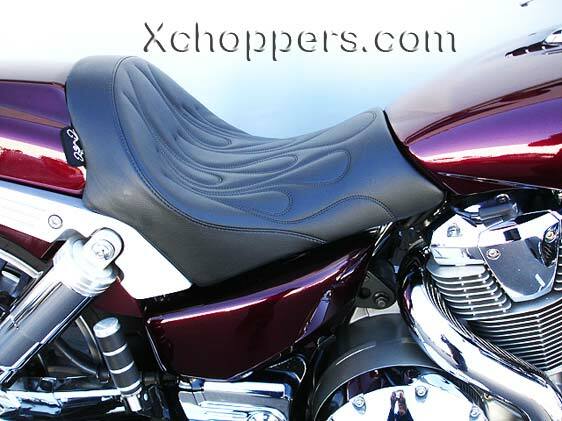 Xchoppers personal 2002 VTX1800C with MB Products 10.5" shocks shown in above photo. 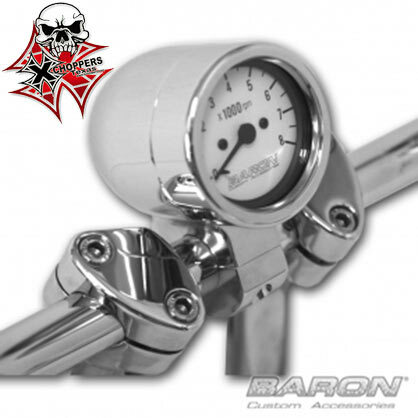 Be sure to carefully measure your bike to pre-determine the shocks you intend to order will fit your application and look the way you want when installed. Shocks incorectly ordered cannot be returned once they have been installed. 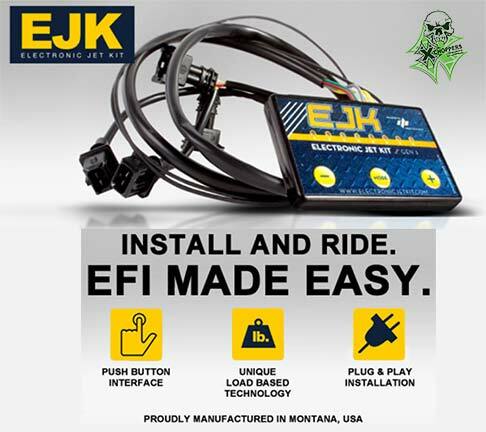 The best way to make sure you are ordering the right length is to place your motorcycle on a suitable jack, remove the shocks and lower the suspension until you have the distance you want between shock mounting bolts. That way you'll know how it will look before ordering and installing your new shocks. Shock Length (center to center): 10.5"10.75"1111.25"11.5"
I received my 10.5 inch shocks for my 06 1300s and I couldn' ..